Analysis of plant tissues is an extremely useful tool for growers. Not only can plant tissue testing be used to monitor the nutrient status of plants but it can help identify nutrient deficiencies and imbalances. This allows growers to more effectively tailor their nutrient management programs to meet a crop's specific needs. Cost savings may be realized if nutrient deficiencies are resolved before they adversely affect production and also if unnecessary fertilizer applications are avoided. Why Not Just Test the Soil? Soil testing is also a valuable tool and is often used in conjunction with tissue testing. Soil tests should be taken before planting and at regular intervals once plants are established. The soil pH is of special importance because it affects the availability of all plant nutrients. There is often not a strong relationship between the nutrient levels in soil and in plant tissue. This is because many factors affect the ability of plants to take up nutrients. Tissue testing is the best way to find out the nutritional composition of plants. In What Circumstances Would Plant Tissue Analysis Be Suggested? Routine Assessment ï¿½ Leaf and/or petiole samples are collected at the appropriate time of year and sent in every 2 to 3 years to monitor nutrient levels in plants and fertility program. 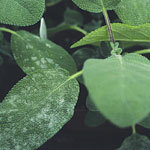 Trouble Shooting ï¿½ If observing leaf symptoms that may indicate a nutritional problem, samples are sent in from plants showing symptoms and also those without for a comparison. What Nutrients Does the UConn Plant Tissue Analysis Measure? Results would include total percent nitrogen, phosphorus, potassium, calcium and magnesium along with the parts per million (on dry weight basis) of boron, copper, iron, manganese, molybdenum, sodium, zinc, aluminum and lead. Fertilizer recommendations are not provided with plant tissue analysis. Use the results along with soil tests and suggestions from University of Connecticut Extension Specialists to modify your fertilizer regime. Lead is a contaminant and not a plant nutrient. It will be noted if the lead levels in the plant tissue are elevated. This is often a concern when growing vegetables, herbs or fruits in areas that were exposed to lead paint, leaded gasoline and other sources of soil lead contamination. What is the Cost of a Plant Tissue Analysis? What is the Turnover Time for Plant Tissue Analysis? Because if may take several days to dry the tissue, the turnover time would be approximately 2 weeks. The time of year to best collect plant tissue samples, the number of plant parts (i.e. leaves, petioles), and the type of plant part varies by plant species. For best results, call the Soil Nutrient Analysis Laboratory at (860) 486-4274 and speak with one of our employees or look at the Plant Tissue Analysis Collection and Sampling Guidelines. Note: Samples should be placed in paper, not plastic, bags! Where Do I Send or Bring My Samples? Samples can be mailed or brought to the laboratory, Monday through Friday from 8:30 a.m. until 4:30 p.m. Please call us for more information or for questions at (860) 486-4274.